NOTE: NBC Chicago will offer a live stream of the speech beginning at 8 p.m. Tuesday right here. With less than two weeks left as president, Barack Obama returns to Chicago Tuesday to give his farewell speech in the city where his political career began. "For Michelle and me, Chicago is where it all started," Obama wrote in a Facebook post just hours before he was set to arrive in the city. "It’s the city that showed us the power and fundamental goodness of the American people." The open letter to America precedes a bitter-sweet moment for the country, as Obama returns to his roots for one last time as president and the U.S. prepares to usher in a new era. "Over the course of my life, I’ve been reminded time and again that change can happen – that ordinary people can come together to achieve extraordinary things. And I’ve seen that truth up close over these last eight years," the post read. "We’ve made America a better, stronger place for the generations that will follow. We’ve run our leg in a long relay of progress, knowing that our work will always be unfinished. And we’ve reaffirmed the belief that we can make a difference with our own hands, in our own time. That’s the imperative of citizenship – the idea that, with hard work, and a generous heart toward our fellow Americans, people who love their country can change it." Obama wasn't the only one sharing heartfelt words on Facebook. Vice President Joe Biden also offered his thoughts looking back on the last eight years. 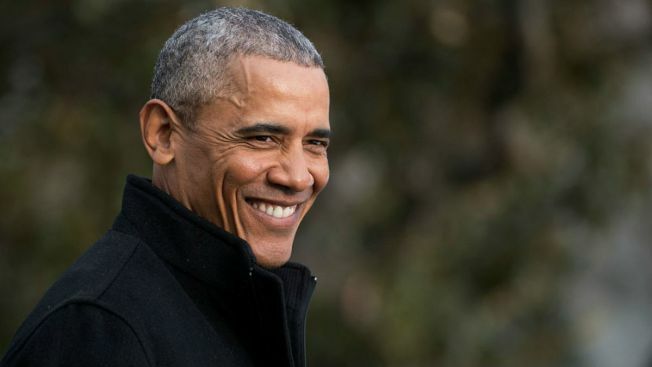 Continuing in a tradition that dates back to 1796, when George Washington said goodbye to Americans before transferring power to his successor, Obama will take the stage at Chicago's McCormick Place to offer his farewell remarks as his presidency comes to an end. "So tonight, I’m returning to where it all began to offer my most grateful farewell to the American people," Obama said. "I hope you’ll join me – I want to thank you for everything you’ve done." For Michelle and me, Chicago is where it all started. It’s the city that showed us the power and fundamental goodness of the American people. It’s that inherent strength that brought our country through our fair share of challenges these last eight years. Because of you, we’ve come through them stronger. Because of you, we’ve held to a belief that has guided us ever since our founding – our conviction that, together, we can change this country for the better. It’s easy to lose sight of that in the blizzard of our minute-to-minute Washington news cycles. But America is a story told not minute to minute, but generation to generation – a story written by parents, and teachers, and veterans, and neighbors who’ve taken on the call of citizenship, working together, without fanfare, to form a more perfect union. Over the course of my life, I’ve been reminded time and again that change can happen – that ordinary people can come together to achieve extraordinary things. And I’ve seen that truth up close over these last eight years. We’ve made America a better, stronger place for the generations that will follow. We’ve run our leg in a long relay of progress, knowing that our work will always be unfinished. And we’ve reaffirmed the belief that we can make a difference with our own hands, in our own time. That’s the imperative of citizenship – the idea that, with hard work, and a generous heart toward our fellow Americans, people who love their country can change it. So tonight, I’m returning to where it all began to offer my most grateful farewell to the American people. I hope you’ll join me – I want to thank you for everything you’ve done.